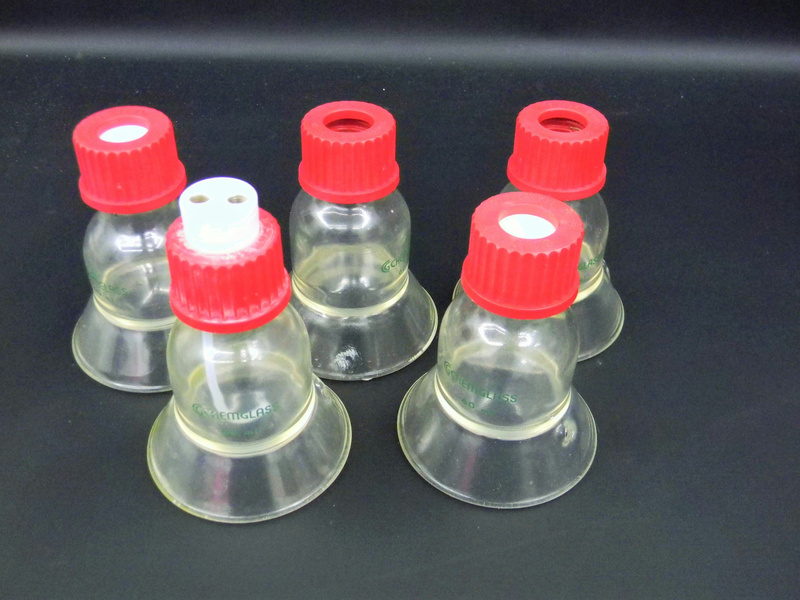 Chemglass Coated Dome Standing Flask 60ML GL-32 Threaded Top Max Temp.60ºC . New Life Scientific, Inc. These are used flask that was acquired from a US pharmaceuticals lab. There are no visible cracks or chips to the glassware that would hinder its efficacy. Retail price $78 each--Buy now and save.